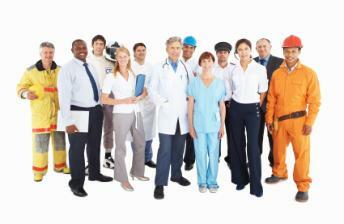 Workers compensation insurance plays an important role in protecting both employer and employee. Here’s how workers comp insurance works. injury. Some may even file a lawsuit if they feel the employer was somehow negligent and caused the incident. Workers’ compensation insurance, commonly called workers compensation or workman’s comp, can help with both these types of situations. In fact, your state law may require workers compensation insurance. Workers’ compensation insurance pays income and benefits to workers who suffer an illness or injury while they’re on the job. The insurance pays for lost wages and other injury-related expenses. It also protects the employer’s liability against employee claims related to the injury. Employees who make a workers’ compensation claim aren’t allowed to later sue the employer for the injury. When an employee is injured on the job, the employer and the employee need to fill out certain forms to make a claim. Claims are typically time-sensitive so employers must encourage their workers to report any work-related illnesses or incidents as soon as possible. Employees can make a workers’ compensation claim for things like treatment of injuries and illnesses and disability income for a certain period of time. The dependents of a person killed on the job can use workers compensation to help pay for funeral expenses and can receive a death benefit. Workers comp insurance doesn’t cover every type of illness or injury that occurs, even if it happened while the person was on the job. Intentional and self-inflicted injuries may not be covered. Injuries that result from the person being under the influence of drugs or alcohol while at the job typically won’t be covered. The insurance may not cover injuries that result from natural disasters or other acts of God unless the job puts them at risk of being exposed to these things. An injury caused by another employee for a reason that has nothing to do with employment may not be covered. Workers’ compensation only covers expenses directly related to the injury. It doesn’t cover pain and suffering or punitive damages. Workers’ compensation benefits may be reduced if an employee was injured because he or she failed to follow known safety rules. Insurance rates differ depending on the type of business. Employers generally aren’t allowed to pass off the cost of workers compensation insurance onto the employees. Instead, this is a benefit the employer is responsible for funding. As with other insurance types, a company may be able to lower their workers comp insurance premium by raising the deductible. The increased deductible takes some of the financial burden off the insurance company. Drug-Free Workplace programs can help make the workplace safer and may also the insurance premium. Some companies are required by state law to provide workers’ compensation for their employees. For example, California requires companies to have the insurance, even if that company only has one employee. Alabama law requires the company to have workers’ compensation insurance if it has more than four employees. You can check with your state’s department of insurance to find out if your company is required to have workers’ compensation insurance and the rules regarding administration of the insurance. The state may have already selected insurance companies that are approved to provide workers compensation in that state. Some companies are able to self-insure, meaning they have enough money to fund their own workers’ compensation insurance plan. The state will also have financial qualifications that have to be met before the company can self-insure. For example, the company will need to have a minimum net worth and a positive net income. To self-insure, companies have to become certified by the state’s insurance department. Companies can also pool together to provide a self-insurance group where several companies combine their resources to self-insure each other. The state insurance department has to approve this type of arrangement, too.